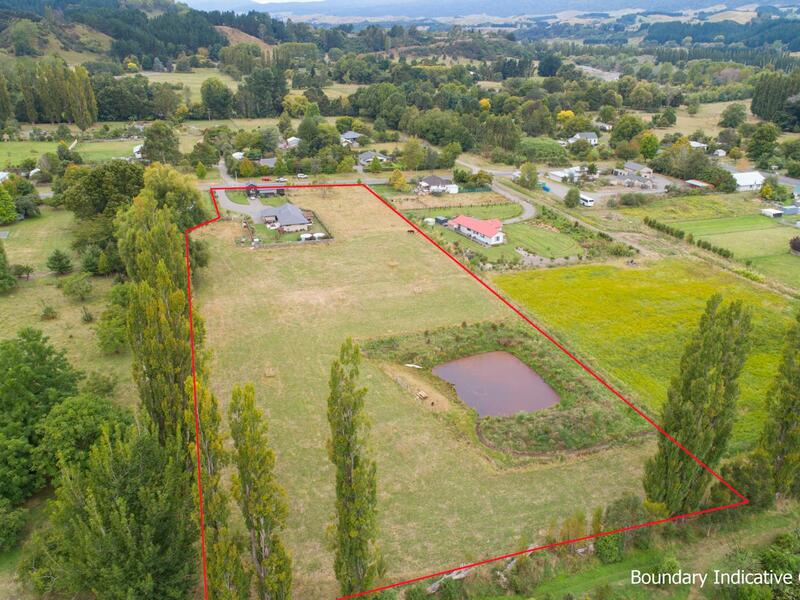 Superb in every detail, this impressive Pohangina Valley lifestyle property featuring a lovely warm home, built with panoramic views across the ranges and surrounding countryside all set in an easy-care landscaped garden with 3.85 great acres and a wonderful nature land dam. Built in 2017, this 175m2 single level home offers easy style living, with the owner's desire for quality in design and finish evident throughout. There are three double bedrooms plus a fourth bedroom/office and the focal point is the cosy living and open plan kitchen area with walk in pantry, which can transition easily through sliding doors to the outdoor entertaining spa area. With exceptional garden views from most rooms this warm and sunny home is a pleasure to live in. 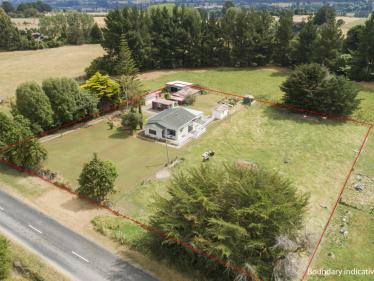 The home has internal double garaging with the added bonus of additional garaging, workshop and storage for motor vehicles, the boat or farm equipment provided in a separate fully enclosed shed complete with concrete floor and three phase power plus a bonus man cave also! Although reasonably new the extensive formal gardens, lawns and specimen trees have established well and compliment the already established fruit trees. There is one large paddock surrounding the home and garden to complete this picture perfect setting. The owners run cattle and could also be ideal for horses or an extensive orchard to be developed. This valley property is an absolute gem! Hurry! Don't miss out. A lovely acre+ of country living!